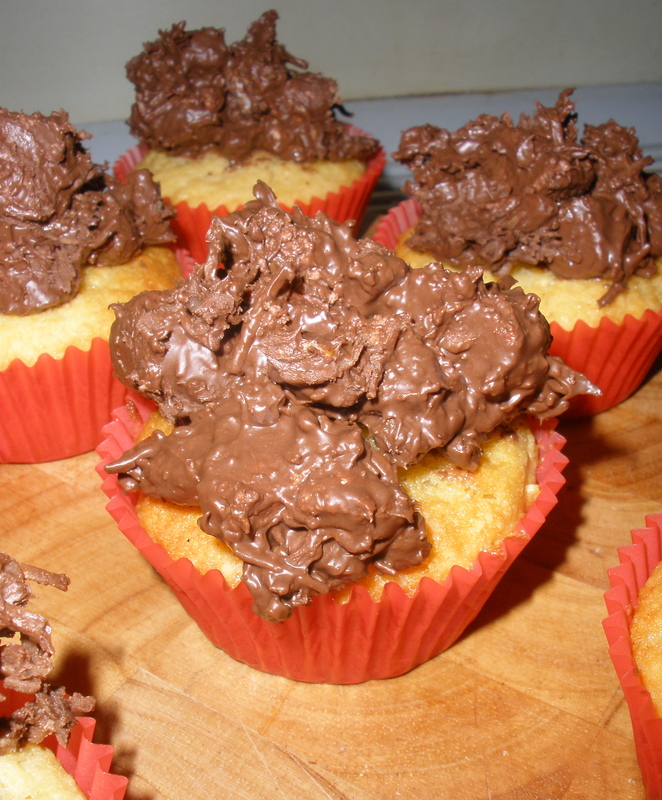 Rocky road cupcakes. A tiny bit delicate, a tiny bit fiddly, totally delicious! Just a tip, you need to work very quickly to top the cupcakes with the rocky road once it’s made as it sets pretty quickly. Preheat oven to 180C. Line two 12 hole, 1/3 cup capacity muffin pans with paper cases. Using an electric mixer, beat butter, vanilla and sugar in a large bowl until light and fluffy. Add eggs, one at a time, beating after each addition. Sift over half of the flour and stir in with a wooden spoon. Stir in half of the milk. Repeat with remaining flour and milk until combined. Spoon 2 level tablespoons of mixture into each paper case. Bake for 15 – 17 minutes. Stand cakes in pan for 2 minutes. Transfer to a wire rack to cool. Combine marshmallows, pecans and shredded coconut in a bowl. Set aside. Place milk and dark chocolate in a microwave safe bowl bowl and melt, stirring often, until smooth. Add melted coconut to the marshmallow mixture. Mix to combine. 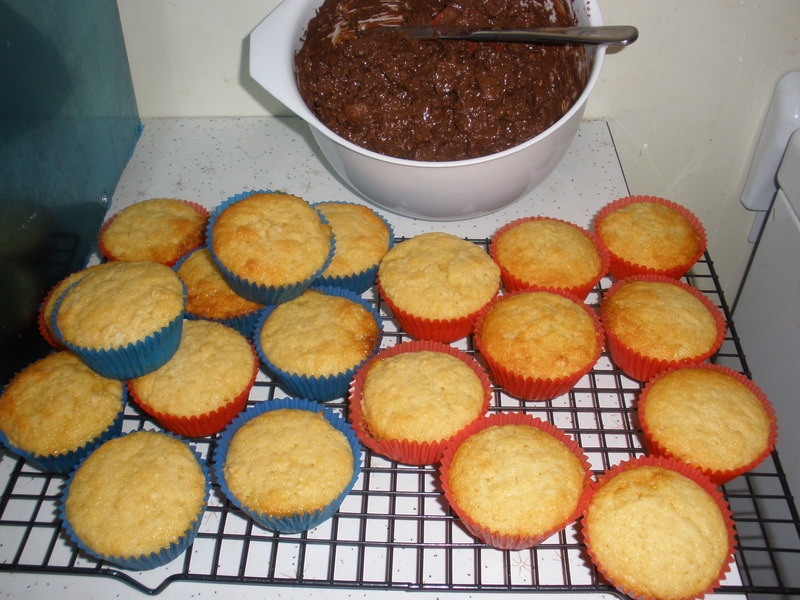 Working very quickly, spoon mixture onto cupcakes. Stand at room temperature and allow rocky road to set completely.